Coding is the new literacy! With ScratchJr, young kids (ages 5 to 7) can program their own interactive stories and games. In the process, they learn to solve problems, design projects, and express themselves creatively on the computer. ScratchJr is an introductory programming language that enables young children to create their own interactive stories and games. Children snap together graphical programming blocks to make characters move, jump, dance, and sing. Children can modify characters in the paint editor, add their own voices and sounds, even insert photos of themselves -- then use the programming blocks to make their characters come to life. ScratchJr was inspired by the popular Scratch programming language (www.scratch.mit.edu), used by millions of young people (ages 8 and up) around the world. In creating ScratchJr, they redesigned the interface and programming language to make them developmentally appropriate for younger children, carefully designing features to match young children's cognitive, personal, social, and emotional development. ScratchJr is available as a free app for both iPad and Android tablets. 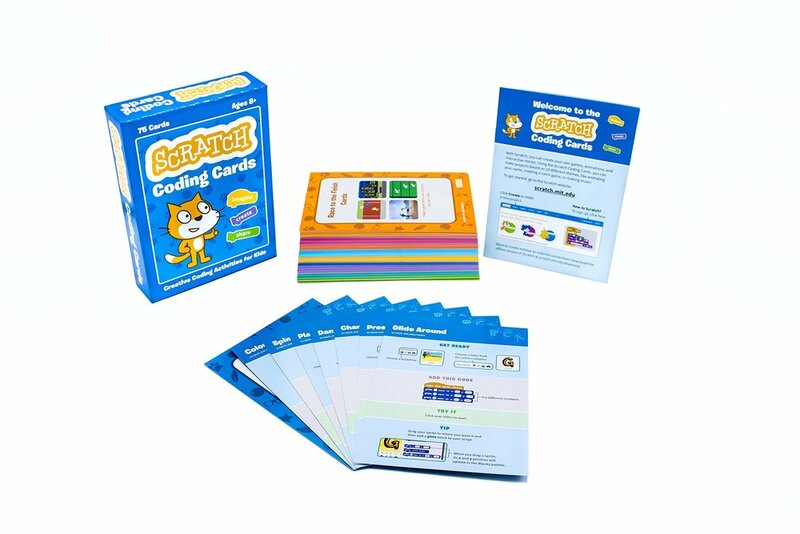 For more information about ScratchJr, see www.scratchjr.org. 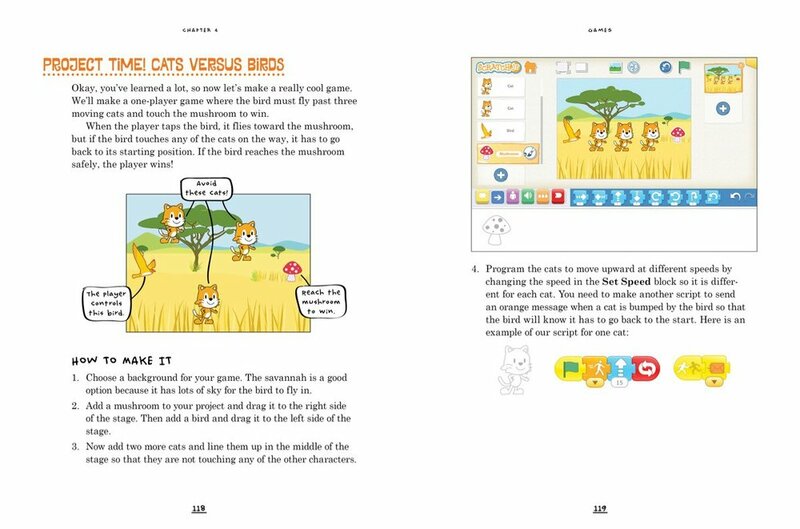 Each card features step-by-step instructions for beginners to start coding with Scratch. The front of the card shows an activity kids can do with Scratch—like animating a character or keeping score in a game. The back shows how to put together code blocks to make the projects come to life! Along the way, kids learn key coding concepts, such as sequencing, conditionals, and variables. The book is part of The Learning through Engineering, Art, and Design (LEAD) Project, an educational initiative established to encourage the development of creative thinking through the use of technology. Scratch is free to use, but requires a computer and an internet connection.